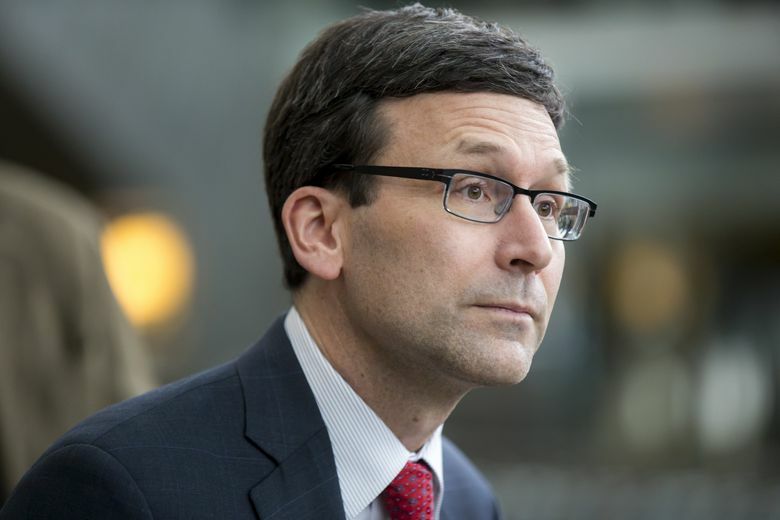 State Attorney General Bob Ferguson says he will file a lawsuit if the Interior Department tries to open Washington offshore waters to oil and gas exploration. Ferguson, in a letter sent Monday to Interior Secretary Ryan Zinke, called the proposed lease sales “unlawful, unsafe and harmful to the economy,” and said that “an array of federal laws” counsel against such action. The Interior Department was scheduled to hold a public meeting Monday about the proposal at the Landmark Convention Center in Tacoma. But that meeting was abruptly canceled by the convention center over the weekend amid plans for a protest rally by those opposed to such lease sales. Interior Department officials said the meeting will be rescheduled. With the meeting scratched, Ferguson and Gov. Jay Inslee joined tribal groups and coastal businesses in Olympia on Monday to object to the drilling plan. The Interior Department proposal released in January would open nearly all U.S. offshore waters to oil and gas exploration, and includes a major new lease sale off Oregon and Washington for 2021. The plan would include 47 potential lease sales including 19 off Alaska, seven off the West Coast, including protected areas off California, and 12 in the Gulf of Mexico. Zinke said the Interior plan lays options on the table for responsible development that could provide billions of dollars to fund federal conservation efforts and help America achieve energy dominance. In the Pacific Northwest region, most exploration interest would likely be in areas close to the coast that an Interior Department map denoted as “geological plays” where oil was most likely to be found. In northern Washington, that map includes much of the Olympic Coast National Marine Sanctuary. In his letter to Zinke, Ferguson said that federal law prohibits oil and gas exploration within the sanctuary boundaries. During the Monday appearance with Inslee and other oil drill opponents, Ferguson said the Trump administration is sloppy on how it rolls out its proposals, and that will aid the state in any lawsuit. “The bottom line is, if they go forward, they will see us in court,” Ferguson said.